Today we welcome Becky! 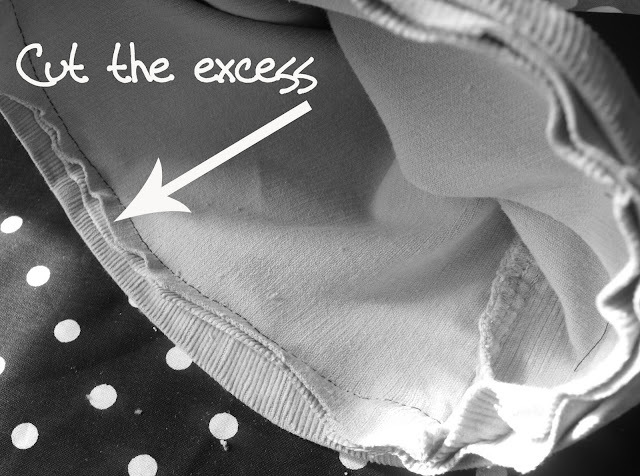 She's sharing a great trick to hem up pants...without the home made look! Thanks Chris for allowing me to join in on Sewing 101! I'm Becky from Liberate Creativity, a site that features crafters, artists and designers project tutorials and Question &; Answer sessions and encourages everyone to unleash their creativity within. It's neat to be able to turn the tables and be able to offer a tutorial with all of you today! I'm tall. My mom and sisters are not. They have always had issues with their pants being too long. 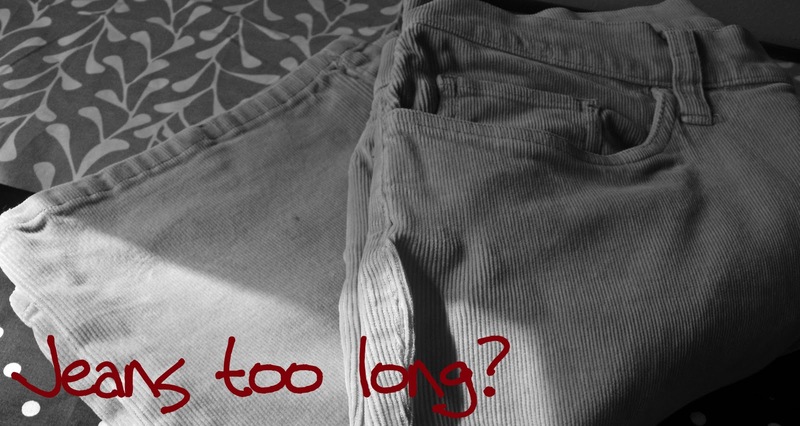 Hemming khakis and dress pants to look good isn't too terribly tricky, but when it comes to jeans - forget it! It's hard to get the jeans to look good and keep that stylish hem at the bottom. Well have no fear, I have the solution for you! For tall people, this is a great solution to make jeans into capris as well! I wish I could remember where in the world I learned this technique so I could give due credit, but unfortunately I can't. My apologies. Step 1: Find your jeans. For this tutorial I used a khaki type jean material, and truth be told the end result doesn't look as stellar as it does on regular denim - the reason being is that demin has the trademark hem line that you usually lose in hemming - this project will teach you how to keep it! At any rate, imagine they're denim jeans while reading! 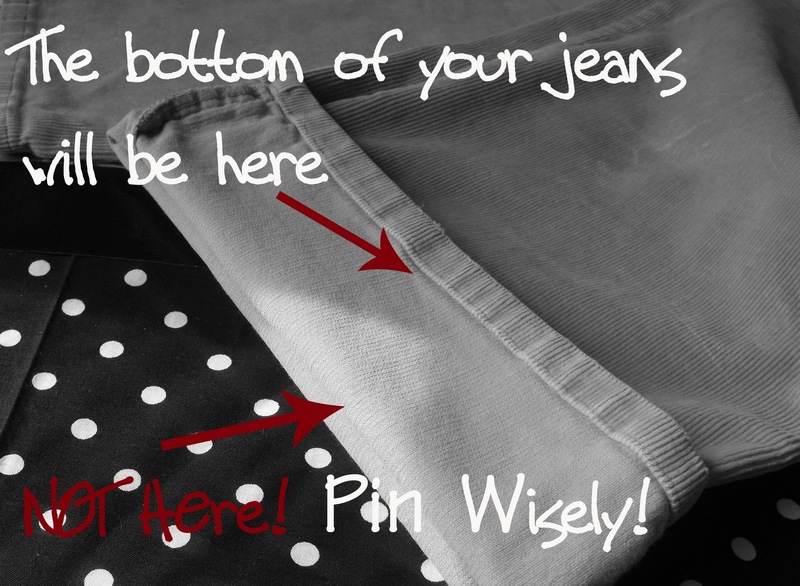 Step 2: Measure where you would like your jeans to be hemmed and fold the BOTTOM of the pantline to that mark. Don't consider the bottom fold line as the "hem" line, because it's not (see photo below). Step 3: If it makes you feel more comfortable, pin before sewing. This is a durable fabric so pinning isn't essential. Fold down the 1/2" "cuff" of the pant. Match the thread as close to the current thread on the seam line as possible. Sew along the existing seam line. Step 4: Try on the jeans to be sure they are hemmed to the correct length before STEP 4!!!! Cut the excess of the folded over jean when you're sure of the length. Be sure not to cut the pretty cuff! Step 5: Voila! Pressing with hot iron doesn't hurt either! Put on those jeans, admire your amazing job and strut your stuff without tripping! Hope this helps! Thanks so much, Becky! I'm so excited for you and your new blogging adventure. Please be sure to visit Becky's blog and all the guests she's featuring! was it maybe crafterhours? I think i saw adrianna do a similar tutorial. Great tutorial, Becky! Love how simple this is. I love tutorials with words on the photos. I really need to get around to doing that! Chris, you were the first person I saw who did that, did you know? 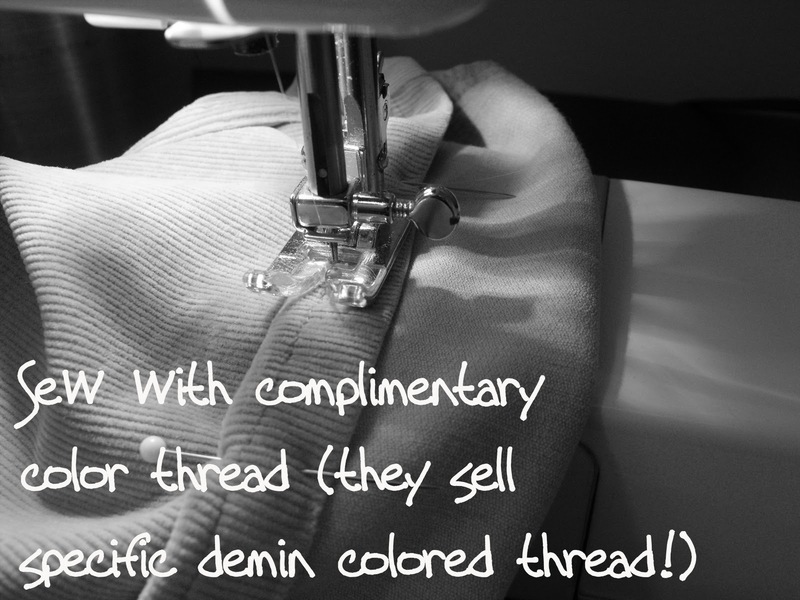 This is really fun to do on a serger too, cause then you cut in the same step. I don't know how many hand-me-down pants I've fixed right before we had to walk out the door! Can I just make one suggestion? I have a tutorial for this on my blog and the one addition I suggest making (because I learned the hard way), is to make a straight stitch down the side seams of the pants. 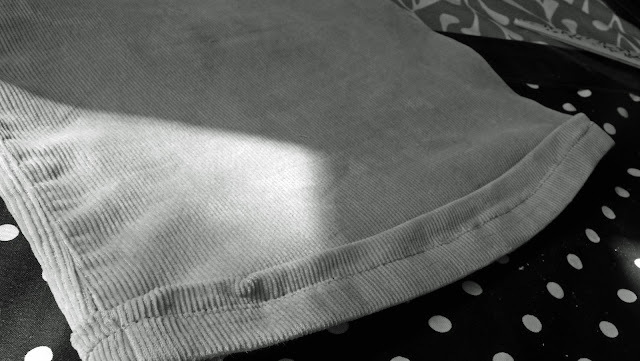 That way, when you wash them, your hem won't flip up every time you wash them, leaving you needing to iron them. This is the BEST way to hem pants for sure!